This volume focuses on breaking ground with family coaching, presenting theory, research and practical guidelines for researchers, educators and practitioners. Readers will discover a theoretical overview of coaching psychology and family science, accessibly presented research and models of family coaching and family life education. The insight this book provides into family systems and practical information on coaching families will be valuable to youth coaches, parent coaches, life coaches and counsellors, amongst others. 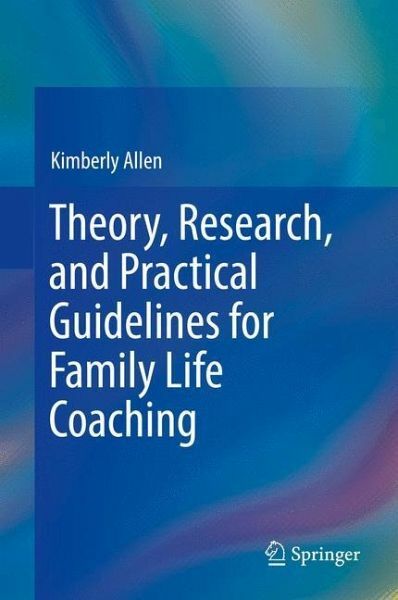 Beginning with a brief introduction on the necessity of this volume and further research on family coaching in general, the author takes readers progressively through the family coaching process. The book explores specific strategies for coaching parents, couples, and families on relationships, parenting special needs, and much more. Each chapter offers a theoretical base as well as applied guidance including case studies, powerful questions, and tips from experienced family coaches. 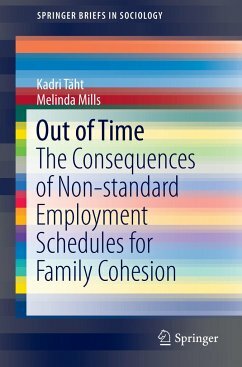 Whether you are a family therapist, a coaching psychologist, or a family life professional that serves children and families, this book is ideal for gaining a better understanding of how to coach families toward positive family functioning. 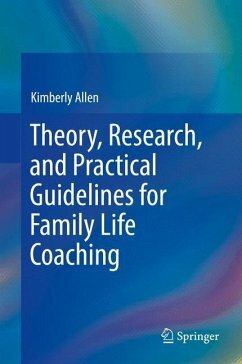 Dr. Kim Allen delivers an engaging and reflective book offering a comprehensive guide for those interested in becoming a family coach. Kimberly Allen, Ph.D., BCC is an Assistant Professor and Extension Specialist at North Carolina State University where she teaches in the Family Life and Youth Development Graduate Program. She has over 20 years of experience working with youth and their families as an educator, marriage and family therapist, psychologist, and as a family coach. Dr. Allen created the family life coaching training program at North Carolina State University. She has written extensively on coaching families and is a prominent family coach researcher. Chapter 1: Why a Book on Family Coaching? PART I: BACKGROUND AND THEORETICAL OVERVIEW.- Chapter 2: Roots of Coaching: Coaching Psychology Research and Practice.- Chapter3: Roots of Family: Family Science Research and Practice.- Chapter 4: Theory to Practice: Review of Theoretical Applications to Coaching.- PART II: APPLICATION AND SKILL DEVELOPMENT.- Chapter 5: How to Coach Families.- Chapter 6: Intakes. Chapter 7: Assessments.- Chapter 8: Powerful Questions.- PART III: TYPES OF FAMILY COACHING.- Chapter 9: Relationship Coaching.- Chapter 10: Parenting Coaching.- Chapter 11: Coaching for Special Needs.- Chapter 12: Coaching: Where Do You Belong? Chapter 13: Building a Coaching Business.